The HTC One X was a ground breaking new mobile when it hit the scenes, but it’s still a rockstar today. In fact, many people who have one don’t even know all of the cool things it can do. While HTC wasn’t too forthcoming with all of the good bits on what the device is capable of, we’ve take ours for a test drive and found out that this mobile can do some pretty amazing things. There is a built in lock screen feature on the HTC that you won’t find anywhere else. That’s the ability to select from a number of built in settings and profiles that will allow you to choose between themes where your focus is on a social stream, including data and feeds from friends, or more productivity based views that will let you keep track of work and similar functions. Just open your Settings app and go to the “Personalize” section to select the theme you’d like to use for your lock screen. While everyone loves their HTC, there have been a few complaints about the battery. This little trick will let you hack the battery so that you get significantly more life out of it than you otherwise would. The reason for battery slowdowns has to do with the powerful Nvidia Tegra 3 that’s on board (which is one of the things that makes the phone so great). However, sometimes that can chew through your battery when you don’t want it to. Not for the faint of heart, you just need to move the “NvCPLSvc.apk” to the right folder. When you do that, you’ll see a battery life increase of up to 20%. Did you know that you can swipe from side to side in your standard keyboard to quickly switch between letters, numbers, and even default text Emoji shortcuts, like smiley faces? Not only that, but you can also tap down on predictive text options to see more than the standard list. This also works with the custom dictionary, where you can add in your own list of words that might be specific to you or your business needs. There is also a built in Swype keyboard standard on all HTC One X mobiles. To access it, just open the Sense Settings menu, and select the “Trace Keyboard” option to turn it on. If you instead prefer a different style of keyboard, that’s been made available too. All you have to do is open Settings, go to Language and Keyboard, then HTC Sense Input, followed by Advanced Settings, and last select Keyboard Types. You can chose from a compact keyboard, the standard QWERTY keyboard, and old school Phone (T9) styles. There are new features that let you easily switch from regular phone styles to speakerphone, and others that let you automatically reject calls, setting either a calendar reminder, or sending them a text message. To switch to speakerphone, all you have to do is lay your phone on its face, and it will automatically turn on speakerphone (great for business users). To decline calls, go into the Settings application, and enable “Declined Calls” to access the feature. Then you can decline calls with a text, or set a calendar reminder to call back. Also turn on the “Save to Contacts” option while you’re there, which will automatically save unknown numbers. HTC has included their own updated mobile browser, which has a few great features for those who are often browsing the web. You’ll want to go into the device settings to turn this on, and select “Labs” when you’re there, followed by “Quick Controls”. This will get rid of the most common browser clutter, like the tab and URL bars, and instead give you a new interface that will let you swipe right or left, bringing up a radial wheel bar to let you select commonly used items. 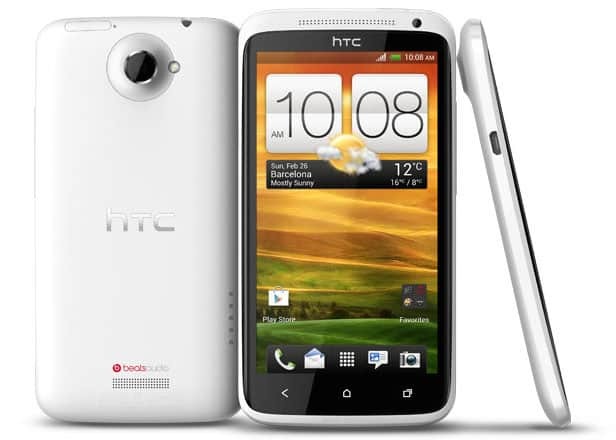 The HTC One X is still a great mobile, and remains a top seller in the Android market. Whether you have your own, or are considering buying one, these hidden tips and tricks will help you the most out of your mobile. There are a number of other things you can do on your mobile that will help accomplish even more. These include helpful apps you can install, and some extra hidden functions that power users will appreciate.